When I was back in Washington DC, meeting with Congressman Dana Rohrabacher and other Congressmen, I promised to help Christians facing genocide in the Middle East. But I need your help to turn this around. You see, Christians are facing historic persecution. They are targeted for death, facing martyrdom and genocide. 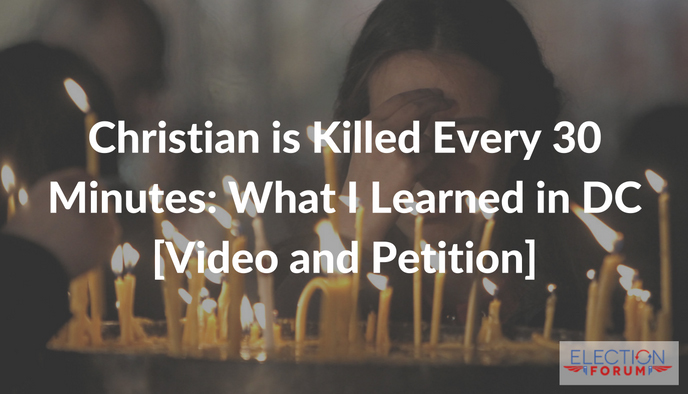 Every thirty minutes, a Christian is murdered. These Christians have nowhere to go. If they go to a Muslim refugee camp, they’re persecuted or killed. Women are raped. Children are sold into slavery. They have to renounce their faith. That’s why it’s imperative that this one group in the Middle East facing genocide be treated separately from the Muslims, who can go to refugee camps. They only place the Christians can go is the United States. That’s why Congressman Rohrabacher crafted together a good bill that will fast-track Christians into emergency refugee status, because they are targets for genocide. The State Department does not want this. The Obama Administration does not want this. The United Nations does not want this. They are all discriminating against Christians. That’s why we need your help. That’s why we are starting a petition to get Congress to pass Congressman Rohrabacher’s bill HR 4017 and move it out of committee. Right now the bill is stalled. Will you help me? Please sign the petition today. Our website for our online petition is Tell Congress to Stop Stalling and Act NOW!–Pass the Save Christians from Genocide Act. You can also print out copies to distribute at your church, your small group, and with friends. Thank you so much for your help! 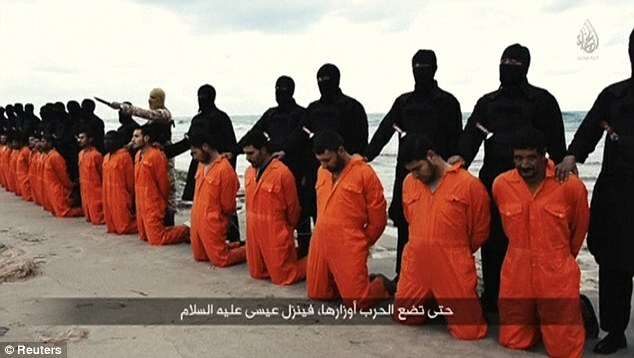 Watch this video for more information about saving the persecuted Christians of the Middle East. I have been supporting as much as I can afford and with prayer, a Christian group, Run Ministries in Iraq, who have built shelters for those that are escaping Isis in Iraq. The ones that have escaped have come to know Christ. They have rescued young girls that have been slaves to Isis and some are pregnant. They rescued some 4 year olds’ that were prisoners for future wives. Their parents have been killed. The situation is horrendous. Thank you for your news updates. God bless and keep you. This is a terrible situation. The Christians should be allowed to enter the US as refugees before the Muslims. They believe as most Americans believe and will fit well into our Judeo Christian culture. Please help these people. Please make sure to sign and share our petition far and wide!